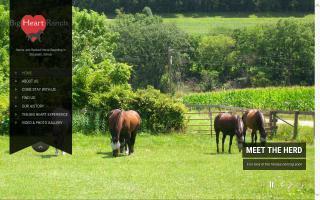 Horse Retirement Farms Directory - O Horse! Whether you have a trusty trail horse, a hunter/jumper, or a thoroughbred racehorse who is ready for retirement, 7 Springs Farm can be your horse's dream retirement getaway! Our retirees enjoy their days out in lush pastures with their buddies, and your horse can have a comfy 12'x10' stall for nights with plenty of shavings. That way we can give every horse lots of love & attention! 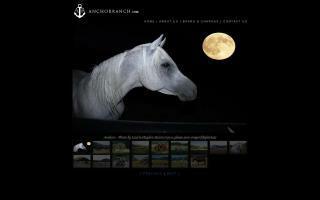 Anchor Ranch - the ultimate retirement home for horses. 300 acres of lush pasture in southern Oregon. Boarding or horse retirement. Egyptian Arabian bloodstock and stud service. 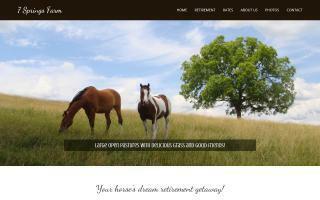 Atsatt Boarding Farm is a quiet, private boarding facility designed with the safety and well-being of your horse in mind; welcoming multi-horse owners and owners who are looking for a retirement home for their aged equine friend. New Horsecote and Hotcote fencing separate run-in pens with maintained pastures. Covered riding area with outside working/riding pen and riding paths on property. Quality hay grown on site. Limited space available. Badger's Retreat Farm is an 80-acre equine boarding facility located in southern Anne Arundel County focusing on pleasure, competitive, and endurance trail riding. We also maintain a turf-footing ring, poles, and jumps for boarders to use and enjoy. Field boarding and full-care with 24/7 pasture access available. 40 acres of the farm are devoted to lush pastures. Badger's Retreat is a family owned and operated facility with a quiet and relaxed atmosphere. Our trails cover varied terrain, including old growth oak woods, grass green ways, gravel/milling driveway along planted farm fields, and some paved trail access. Within easy trailering distance of PG Equestrian Center, Rosaryville, Cedarville, Jug Bay, and Patuxent Parks. Some trailer parking available. 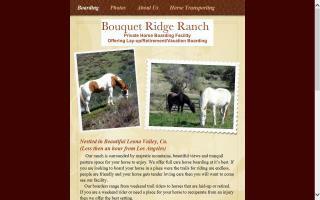 Big Heart Ranch is a small 20 acre farm that specializes in the care of senior, aged, and injured equines. We are located in the northwest corner of Illinois in Jo Daviess County. We offer pasture or stall boarding on a temporary or permanent basis. Because we are a small facility, we can provide your equine companion individualized care and customize a feeding plan that keeps him/her happy & healthy. We arrange for veterinary & farrier care at the owner's expense. The farm has rolling green pastures, a spring fed creek, and plenty of lean-tos. Our monthly rate for pasture board starts at $200 (as of Mar 2011). Dry lot is also available if your equine cannot consume spring grass. We believe every horse has the right to enjoy just being a horse. 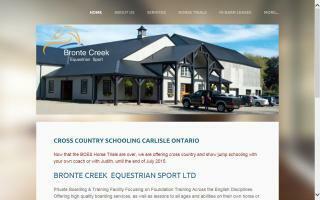 Beautiful horse farm specializing in turnouts and retirement care. 25 years in business. Family owned and managed. All our horses are part of our family. Visit our website for more information and rates. Horse boarding in Santa Clarita set up for lay-ups and retired horses. Short and long term welcome. Box stalls with turn out to dry pasture with covers. Pasture horses eat separated for controlled feeding. Owners live on the ranch and do all the care and feeding. Daily, weekly, and monthly rates. Grooming 2x a month included. We work closely with the vet and farrier; we stay with them until the vet or farrier are finished. Spa services also available. Horses are fed and watered 2x a day and monitored throughout the day and night. Trails close by. Horse hauling also available. Call for more info. Catskill Mountains, Upstate NY. 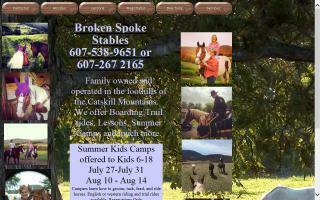 Boarding, lessons, and summer camps for all ages. Training and trail rides. Quality horse retirement in western Wisconsin. Our facility boards only non-working horses. Residents live a consistent, relaxing, quiet, and stress-free lifestyle. We offer both semi-private outdoor board and stall board with semi-private or private turnout. Board rate includes hoof trimming, deworming, grooming & annual vet check/vaccines. Customizing your horse's care is expected! Happiness and trust is our goal - for both you and your horse. Private boarding and training facility focusing on foundation training across the English disciplines. Committed to the provision of high quality horse training & instruction in all aspects of equitation with qualified (Level 2 & BHSII), experienced coaches & trainers. Also providing premier boarding services with quality horse care to suit individual requirements. 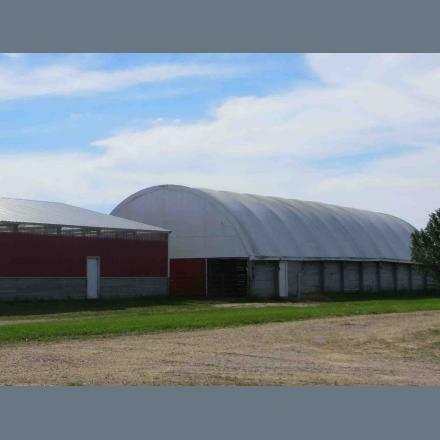 Indoor arena (20x60) with viewing gallery, 30x60m outdoor arena, selection of show jumps, 12'x12' box stall, individual tack lockers, shower facilities, post & rail paddocks, and 24 hour on-site supervision.